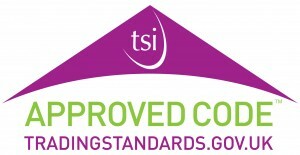 Customers have the satisfaction that our garage subscribes to The Trading Standards-Approved service and repair code. We are spot inspected annually to make sure we are keeping up to the standard expected by Trading Standards. Visit the Motor codes website, to see how well we have done. In the unfortunate event that you are not happy with our service and have a complaint, please initially make your complaint to us and we will do our utmost to resolve the problem. If you are not happy with the outcome and feel we have not resolved the problem, please use the link below to contact Motor Codes. Motor codes provide ADR service, as approved by the chartered trading standards institute (CTSI).